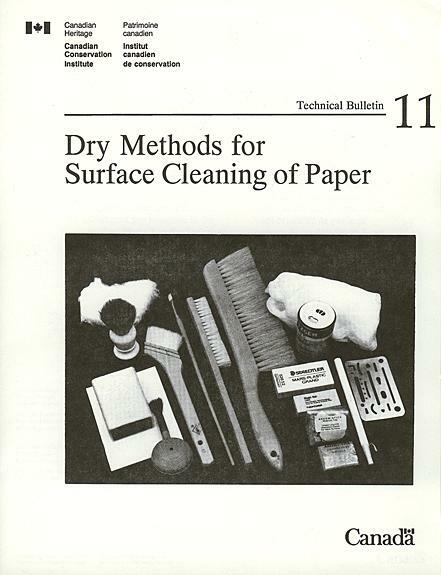 CCI Tech Bulletin #11 Dry Methods for Surface Cleaning of Paper by Janet Cowan. This practical instruction guide is perfect for use by those responsible for care and preservation of works on paper. Describes problems caused by dirt and potential difficulties from the nature and / or condition of paper artifacts. Discusses cleaning materials and techniques and suggests specific types of works of art and archival material.